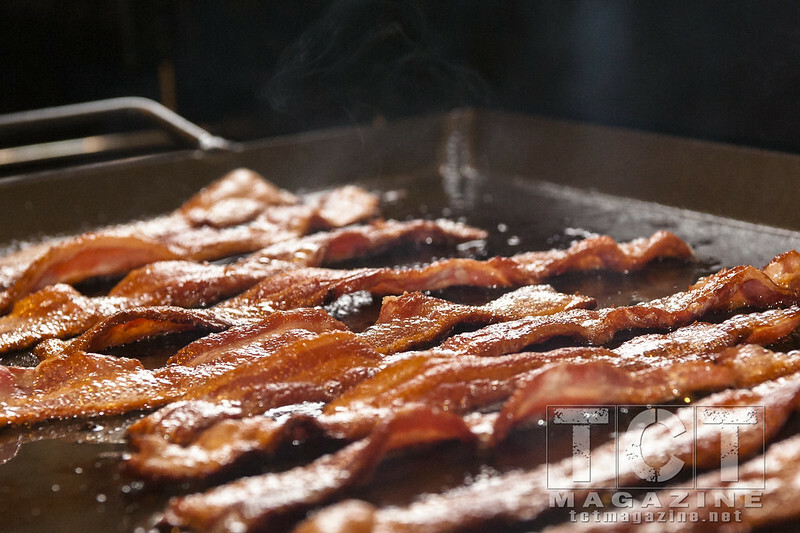 Griddles are one of the most versatile pieces of cooking equipment out there. 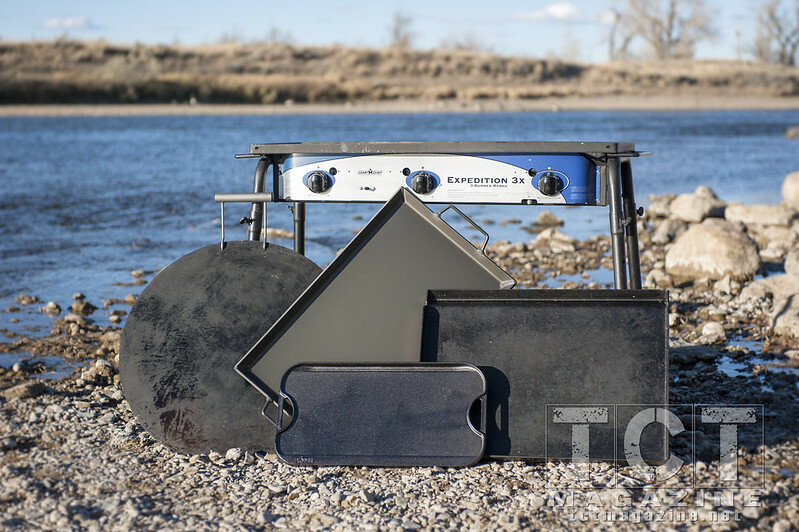 They can transform your everyday camp stove into a multi-tasking machine, allowing you to prepare breakfast, lunch, and dinner all on the same setup. Once properly seasoned, their non-stick properties are second to none and, if treated well, will last multiple generations of outdoor adventurers. 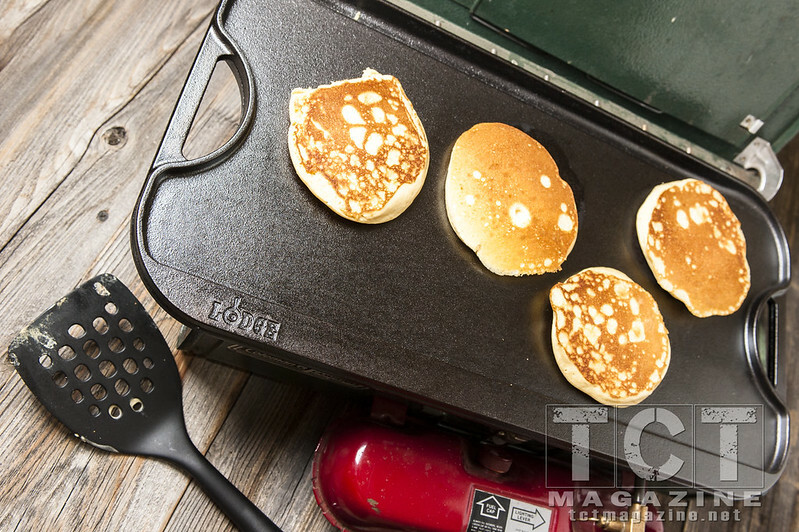 With so many options on the market for camping griddles, which one is the right one for you? We took four of the most popular camping griddles on the market today (Camp Chef Professional Flat-Top Griddle, Mojoe Outfitters Mojoe Griddle, Partner Steel Large Griddle, and the Lodge Reversible Pro Grid Iron Griddle) and put them in a head-to-head competition to see which one would come out on top. We tested the griddles in a slew of cooking challenges, ranging from bacon and eggs to Korean beef and fried rice. Scoring proved to be difficult, and we soon learned why these four camping griddles are so popular. Each of the griddles excelled at the cooking challenges, showing even heat distribution and great non-stick properties. It was really a pleasure to cook on each of these griddles and they each handled the rigors of backcountry travel with flying colors. Faced with a dilemma of which griddle to choose, and such a wide range of griddle sizes/shapes, we decided to rank the griddles in a comparison of weight as a factor of the cooking area, price as a factor of the cooking area, and the griddle’s overall versatility. By factoring the weight and price as a function of cooking area, we could even the playing field between large and small griddles. Each griddle received a score from one to four and the scores of the three categories were totaled up to produce the winner. Now enough about how we came to choose our winner, let’s take a look at each of these great griddles. 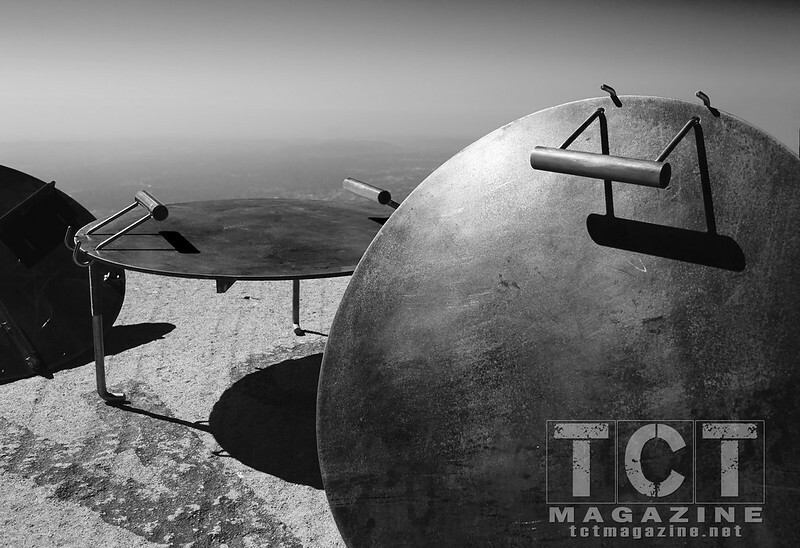 Conclusion: While the griddle worked beautifully on our Camp Chef stove, the lack of versatility with other camping stove designs was a setback in our opinion. Conclusion: We really like the versatility and heat distribution of the Mojoe Griddle but found the shape to be a drawback. Conclusion: This was, hands down, our favorite griddle to cook on. The inherent non-stick properties of the anodized aluminum worked really well, and we loved how even the heat distribution was. Want to check the numbers? Here is a look at our rating table, and how each griddle scored in the comparison. As I mentioned earlier, all of the griddles we tested worked phenomenally well in the camp kitchen but only one really excelled in our testing. 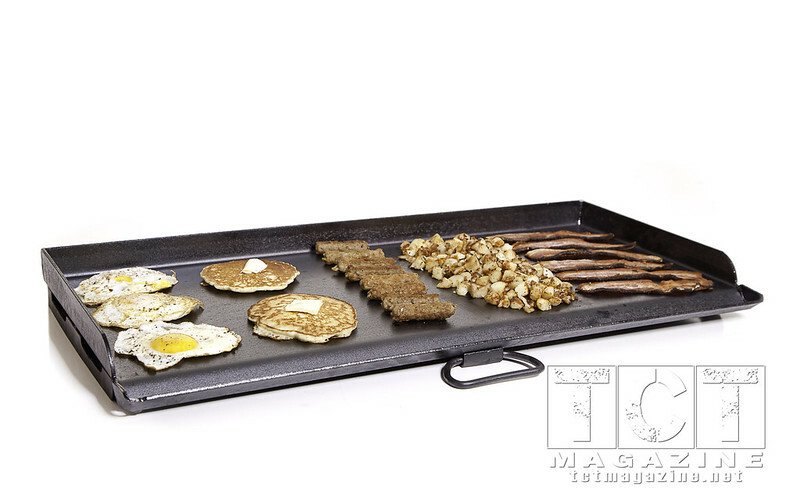 The Large Griddle, from Partner Steel, was a great mix of cooking area, weight, price, and versatility. This griddle will now be our go-to griddle for cooking classes and feeding family and friends on future adventures.